From Bloodborne to Spelunky, we love to punish ourselves. Hey guys, whatcha playing? A couple of us are taking a break from Bloodborne and diving back into Spelunky this weekend. The torture never stops. Nick Puleo (@NickPuleo) - "I picked up Alien Isolation last weekend when it was on sale, so maybe I'll dip into that. I've been itching for a good strategy game though." 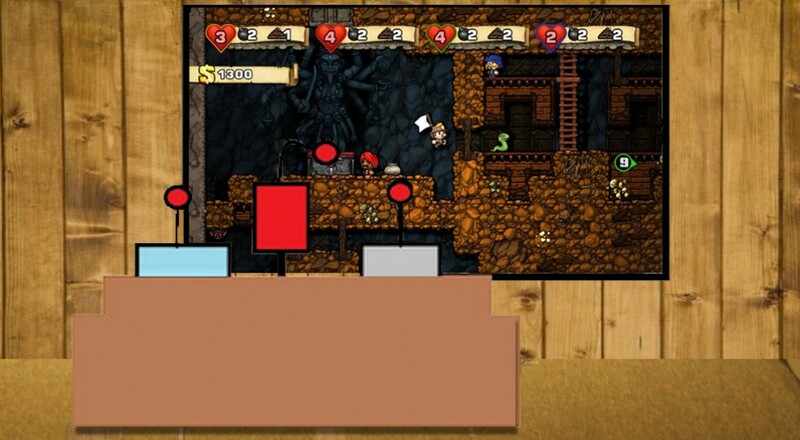 Danny Cowan (@db_cowan) - "Seeing the Spelunky love below makes me want to return to the Vita version for a few runs. I'm prepared to die quickly and often. God dang those arrow traps!" Mike Katsufrakis (@Pheriannath) - "I'll probably try to put a bow on Bloodborne this weekend. Getting closeish." Andrew Gaskill (@cubninja) - "Trying to get all the hats in Bloodborne." Marc Allie (@DjinniMan) - "Board games with the family tomorrow, plus some Starcraft 2 here and there." Jason Love (@JLove55) - "I'll be playing a little more Bloodborne and hoping to make some more progress there. When I need a break from dying over and over again, I'll be enjoying some board games with friends." Eric Murphy (@smurph_em) - "I might be jumping back into Monaco this weekend. Otherwise, I'll be destroying Nazi heads with my trusty M1 in Sniper Elite 3." Locke Vincent (@LockeVincent) - "On the road, but I did a stealth install of Pillars of Eternity in my laptop. Should come in handy." Tally Callahan - "Continuing my Bloodborne adventures. I'm liking this Souls game even more than previous ones!" Chris Metz (@The_Lemko) - "Possibly Evolve and Captain Toad Treasure Tracker. These amiibos really are addictive..."
John Bardinelli (@itsamejohn) - "Traveling at the moment, but I promise I'll squeeze in some Monster Hunter 4U time, what with the free DLC releasing today and all." Enoch Starnes (@enochstarnes) - "I have folks coming in from out of town, so it's looking like we'll probably build up our friendships with a few rounds of FIFA 15 and Super Mega Baseball, then tear them straight down with Spelunky." Taylor Killian - "I believe my future self is due to despise all of my friends after a few dozen co-op runs in Spelunky." What will you be playing? Are you trying out something new, or diving back into an old favorite? Let us know!